This blogpost intends to examine the USPs of two CMs known for their priorities and qualities in two Indian states at different poles. Gujarat, an industrialized, cash-rich state with a right-wing CM focused more on GDP, investments and co and Kerala, a non-industrialized, cash-strapped state with a left wing leader not so attracted to those numbers but having other priorities. This blog contains personal viewpoints and the comparison between the individuals and the states may please be seen in perspective. Full Disclaimer on Homepage tab. In a state where Mahatma Gandhi was born, we have a leader now who confesses his targeting of Muslims, and yet, people vote him back into power. Hitler used to openly confess his contempt for Jews and yet people backed him. Modi is a bachelor, like Hitler. He is (supposedly) not corrupt (like Hitler). He is vegetarian (like Hitler) and has contempt for meat-eaters. He goes after his agenda which he makes it clear right in the beginning (like Hitler) and it involves targeting certain sections blaming them for all ills of the society. The economic prosperity in the land is high (like under Hitler), and his goons are ready to target and kill one community (like under Hitler) with protection from the state apparatus. Like Hitler, Modi practices and spends lot of time on mastering his oratory. Like Hitler, he creates an image and persona that is much more than the party and the ideology. Modi is in-your-face candid about his wrongdoings (like Hitler) which people see as a sign of honesty in comparison to other weak and corrupt leaders who push the same agenda but are not honest about it. A known, strong and honest criminal is better than a hypocrite, weak and dishonest criminal – that seems to be the attitude of Indian people. Some serious fun happened over the last evening which prompted me to put this post up. Prelude to it was one of the famous faces of Young India, the irresistible Chetan Bhagat being awarded some Youth Icon Award, and rightly so-so, and on way showering some exemplaries on Gujarat CM Mr. Narendra Modi. "There is a dearth of good leaders in the country. But CM sir (Mr. Modi), you are doing well here (Gujarat), this is only one state and 27 are still left. We wish there could be many good leaders, but we don't have....IPL is IPL, and country's team is country's team. You think over it, rest of the things you will understand anyway,"
"Is Modi doing good work in Gujarat" is not the point of this post. Also, "Should Chetan have praised Modi the way he did" isn't the one we are so overly concerned about either. The critical question is "Can Gujarat do without Modi" and "Can India do with a few more Modis". I have clear-cut answers to both on a strictly personal perspective, mind you. Modi isn't the first or last of the inspirational leaders India has seen, but I do hope he is the last of the ones who put Hitlar-ian dogma to practice. Though our patriarchal political system has kinda filtered the evolution of natural leaders with true vision, we still get our fair share of able men. 5 years ago Kerala threatened to throw up a dice which even shook the foundations of a party never based on individuals. I'm talking about Comrade VS Achuthanandan who mostly had a mind of his own when his stringent Communist Party of India thought the other way. I'll get this straight. I'm no Commie sympathizer. I'm someone who firmly believe where an archaic ideology like Communism belongs to in our times>>> the Bin. In the same way let me say this. A Hitlar-ian segregation model followed by Modi shouldn't even find that elite bin in the history of mankind. It ought to go to the Shredder, converted back to pulp and buried deep under. Especially in a country like India where blood group is perhaps the last and least bothered way of classifying people. The infamous and vicious communal politics played by Modi is now seen as a successful model by extreme right wing parties to spread across the nation. Neo-Indian way of Divide-and-rule which the British taught us a century ago. The current Middle East crisis teaches us it isn't rocket science to realize green bucks doesn't make a place heaven on Earth. Just like Modi's Gujarat and Achumama's Kerala. 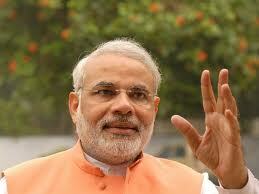 Gujarat has always been an industrial, prosperous state in India even before the twin natural disasters struck. Modi augmented the resources and the advantages to enhance the state's revenues and prosperity further to make it the Jewel of a 'Shining India' *cough*. But even with these multi-billion $ investments and profound urbanization, Gujarat still lags behind when it comes to Human Development Index, where Kerala pips every other state. I'll let you compare what Kerala has achieved in the last 5 years compared to Gujarat. As always, head and shoulders above the rest of the states, Kerala didn't see even one small finger pointed at the premier public figures in power unlike the tales of Yedurappas, Chawans, Rajas and co whose scam-stories came down like monsoon showers on a June weekend. VS has done a far better job than Manmohan Singh in that aspect. He at least tried to clip the feathers of his mighty party boss on corruption charges and has won a few accolades. Remember the lion and mule idiom? No matter you've Harward Rank holders and IIM graduates in your Ministry, if the leader is a mule then that pack of 'lions' will just be effective as a bunch of mules. Some say Modi has brought down corruption in Gujarat, fair play to him, but he has set extremely dangerous precedences to trust him as a leader of masses. The fact is we're still officially 'Democratic Republic of India', and democracy without secularism just cannot exist. The issue is that a Party which ruled us in the last 50+ years fractured the pretty frame and meaning of 'secularism' and 'socialism' into something obscene. Being leaders from opposite poles, Modi and VS cut drastically different images. VS, with all respect, is brutally committed to the people of Kerala, is honest, corruption-free, socialist, truly secular and bold. Positives. Only issue is that he is not a visionary leader for 21st Century but his Cabinet tried their best to make up for that handicap in the last 5 years. Turn the coin 180 degrees and you see the other side of Kerala. Achumama transformed from a Dolby Digital Leader of Opposition to a mostly muted, 1985 Keltron TV system as a CM. Private investment has almost dried up (not entirely VS's fault but of his Party's), unemployment hits record highs, no vistas for revenue generation and the utmost crucial infrastructure development have literally STALLED...in full caps. It's more than worrying; Modi's Gujarat scores here. But Modi has inadvertently created a Frankenstein which will nullify any virtues of such physical and financial development, just like Hitler regime proved 60 years ago. Unless Congress seriously tackles this tunneled minority appeasement policy, corruption and skulduggery asap, and oil the machinery of governance, people will completely lose faith in them. Period. This is what opens more avenues and catalyses activities for men-on-mission like Modi. The lasting legend of VS Achuthanandan? It's never going to be his conquers as a Chief Minister, a shame in that sense. 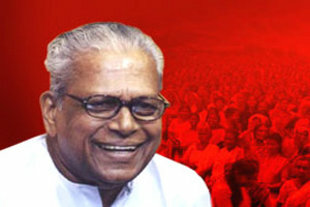 Now who was that who said Achuthanandan would make a good Opposition Leader but never a good Chief Minister? Probably right but hey, he did his job not-so-badly. But then, the legend of Narendra Modi? Godhra will follow Modi to his grave and generations beyond, no matter how honest and terribly sorry he is now for that. Talking about Modi bringing tons of investments into his state, I can see another curious example. 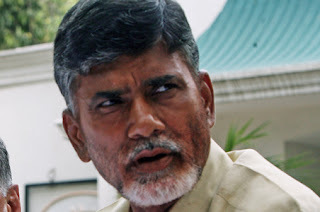 Andhra's ex- CEO Mr. ChandraBabu Naidu. He took Hyderabad (just Hyderabad) into such dizzying heights that it check-mated India's premiere Metros as Investment destination. In the case of Gujarat, Modi had another geographical/ demographical advantage compared to Naidu's Andhra. The former had more cities, ports and more evenly distributed population to showcase investors rather than one lone Hyderabad for Naidu. Naidu forgot all about the group of people getting increasingly pissed off at the green Hyderabad road-dividers while their fields parched under the hot Deccan sun. Gujarat exploited the geographical advantage; and from Valsad to Kutch, from Porbander to Gandhinagar, the state received equal wealth. Coming back to Chetan Bhagat, there is a grey patch behind all the savvy, smart person that he is. He is intelligent, a gifted writer, an influential speaker, a responsible social activist, a true youth icon and all that. In the same sense he is so alarmingly rude, with practically no tolerance to criticism. He responds aggressively even to satires and acts on public domain like a spoiled juvenile going berserk when given out lbw on cricket pitch. He thinks too highly of himself and deems self above any criticism or jab. He is so naive that he thinks all critics are sort of 'envious' at his fame. He also takes a step further by blocking people on Twitter who take potshots at him or criticize him, which has come back to bite him very badly on more occasions than one. Chetan is yet to learn that he is now a popular public figure and such taunts and rebuttals are part and parcel of a celebrity-life like his, who gets involved deeply in social and political proceedings. Someone agile and educated like him should know the way to deal with 'irrational criticism' is to ignore it, if he feels it is coming from 'insignificant trolls' like me, for eg. Get real smart Chetan, build a bridge and get over it! When the lone focus is on the sensex, width of roads, IT exports, GDP and the big red line that divides < 1.25$-a-day poor and 2$-a-day 'rich', let's not forget this one fact. India can survive with a dozen Achuthanandans but not with another Modi.